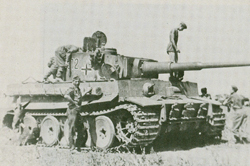 The Tiger 1 first made its appearance in August, 1942. Weighing in at 60 tons it was a monster for its time. Its tank gun was the world's most powerful. It was feared by its enemies, and rightly so, but it paid a severe penalty for its size in speed, mobility, range and reliability. It was a deadly but clumsy giant. Situated on a broad plain enables the Tiger to use its long range, high velocity gun and first rate optics to best advantage. 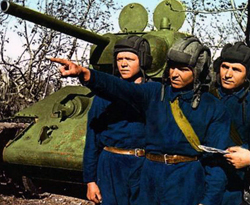 The Russian Eastern Front seemed ideal for the tank but there were problems. Winter snow could freeze its suspension and jam the tracks and it could also become bogged down in mud. 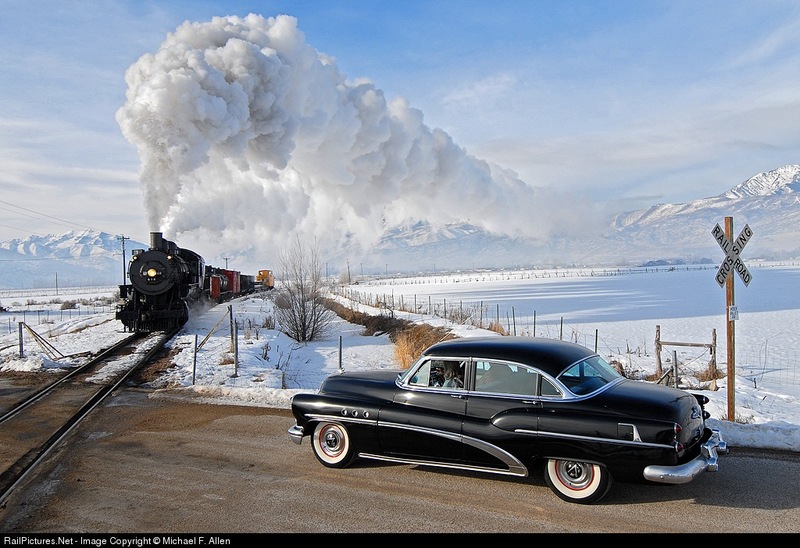 Traveling long distances was forbidden as it placed undue strain on the engine, transmission and suspension. It also consumed enormous quantities of fuel. The commander has a revolving cupola for viewing. The turret is made from a single piece of steel that is 82 mm thick. The mantle, the metal plate protecting the gun mount, is 110 mm thick. The shapes of the tank were kept simple as possible to ease production of a weapon that was already hindered by complication. The turret is blown free of the hull. The commander's cupola lies on the ground. The gun barrel's muzzle brake is missing. Being a crew member of a Tiger was not a life insurance policy. Every tank had vulnerabilities. 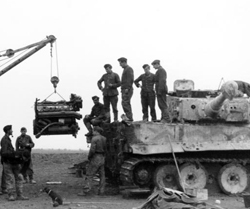 It's taking two Wehrmacht SdKfz 9 armored personnel carriers to pull this Tiger in for repairs. 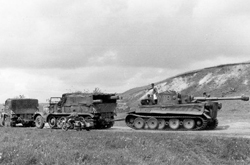 One version of the Panzer V Panther was designed to tow the heavy Panther and Tiger tanks as no other towing vehicle could handle the weight. 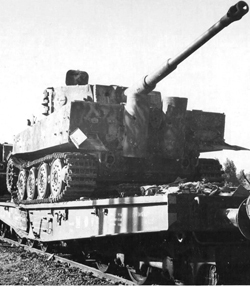 The Tiger was ten tons heavier than the Panther but they used the same engine. The expected life of an engine on the Panther was a thousand kilometers or about six hundred miles. 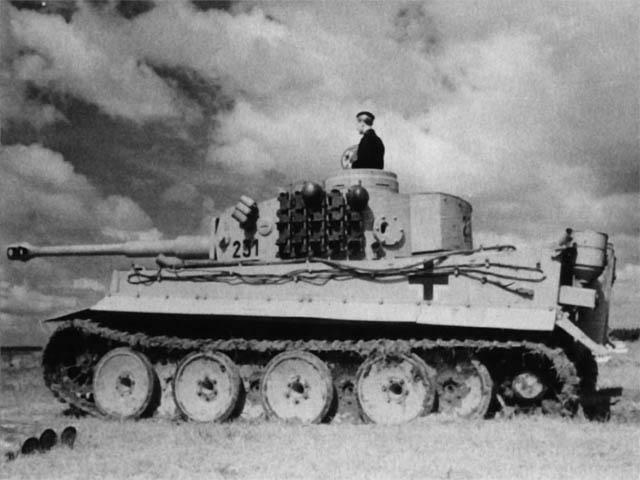 Only 1350 Tigers were made in World War II. They were too expensive in a number of ways. 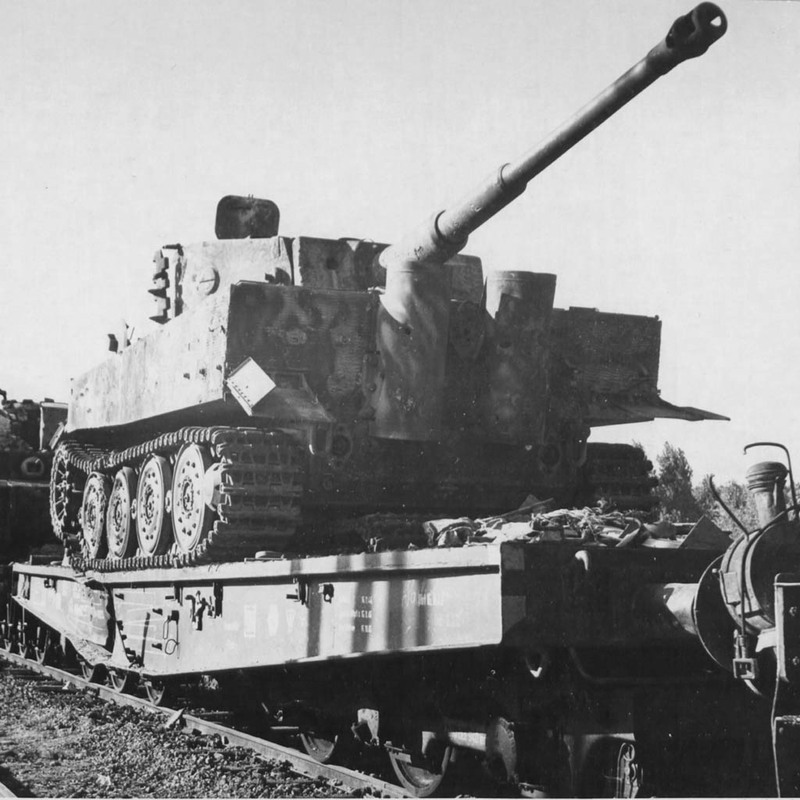 Transporting Tigers by rail required removing the outer wheels of the interleaved wheel system and replacing its normal tread with special narrow tread so the tank would fit on the rail car. It was a labor intensive, time consuming special handling process repeated for every shipment and, again, for every arrival. 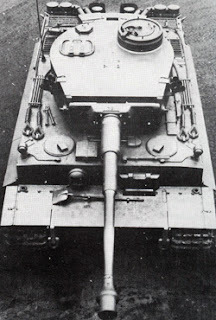 The German General Staff called for a "breakthrough" tank in describing what would become the Tiger 1. At the Battle of Kursk in July, 1943, Operation Citadel, it was the tip of the spear in Hitler's attempt to regain the initiative on the Eastern Front. The effort failed for numerous reasons. 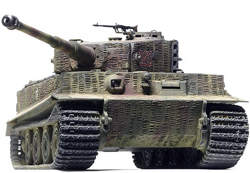 Part of the problem is that the Tiger wasn't the breakthrough tank the Wehrmacht needed. It was unsurpassed at picking off other tanks at a distance but its liabilities outweighed its assets in the often confused armored scramble of highly mobile battle. Technology can so impress that one loses sight of the mission. German engineering brilliance was sometimes overwhelmed by simple approaches that favored high productivity of reliable, easily maintained, inexpensive equipment. The T-34 was an excellent tank but the Sherman also managed to get the job done, without accolades. 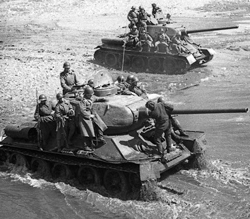 Tanks battling tanks was just one aspect of the tank's mission in Europe in World War II. Providing infantry support was also important and the Tiger was too much a luxury item to be much of a factor in that role. Hitler's over-reliance on technological solutions may have been Germany's own version of Maginot Line. 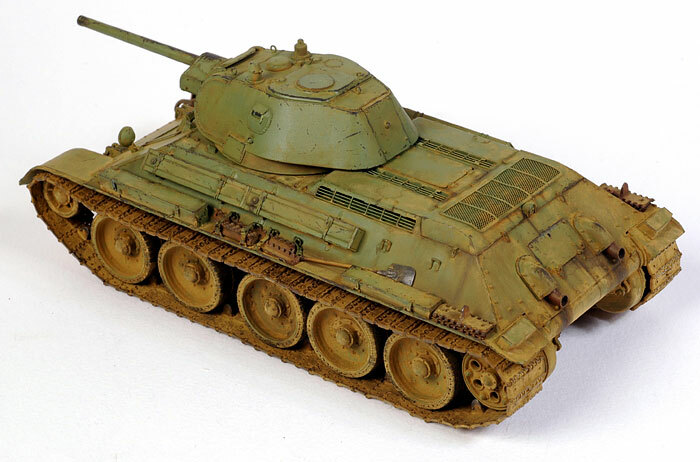 The Panther would arguably become the best tank of World War II despite the fact that it was designed in a rush to counter the Russian T-34. 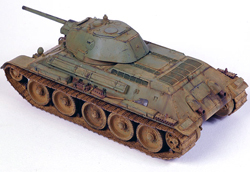 It incorporated the T-34's sloped armor and emphasis on speed and maneuverability and featured a new high velocity gun that could knock out any opposing tank at a thousand meters. The Panther with its high velocity 75 mm gun could destroy any tank fielded by the Allies making it the dominant tank of the battlefield. The U.S. Army believed it would take five Shermans to knock out a single Panther. It was a tank that was never over matched, just overwhelmed. 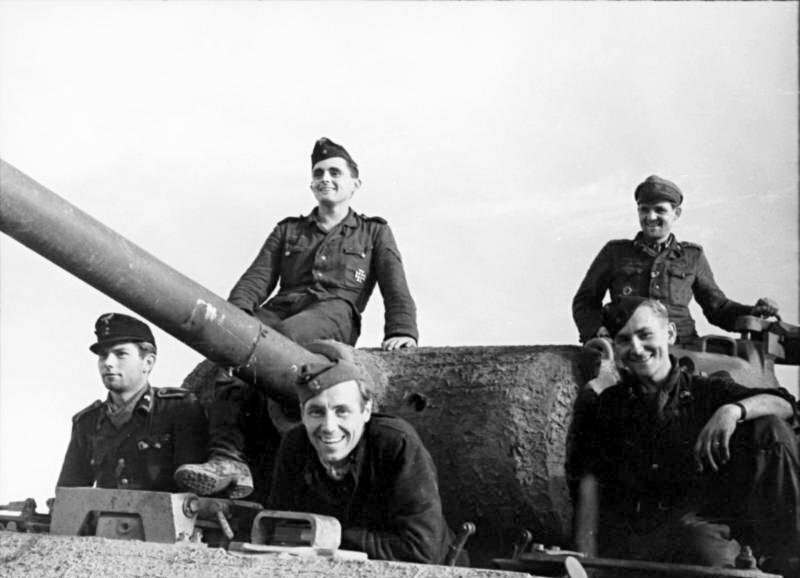 Three of the members of the Panther's five man crew were in the turret - the commander, gunner and loader. It was cramped. The tank also stored up to 79 rounds for its main gun. 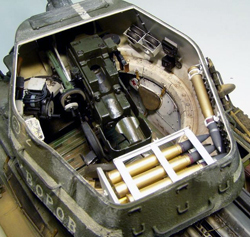 The mantlet, the heavy metal piece through which the barrel protrudes, would eventually be redesigned because it deflected shot through the roof of the hull. The turret armor was 100 mm thick. It's traversing gear was weak and the turret would not rotate if the tank was on a slope. 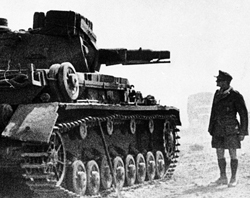 It had the best ride of any German tank but its complexities made it difficult to maintain in the field and repair. 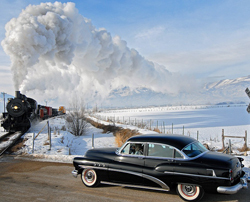 Its gas fueled powerplant was good for only a thousand kilometers or six hundred miles. Of course, in a battle situation that may be more than the life of the tank. The Panther's weight of nearly fifty tons came in much higher than initially expected. 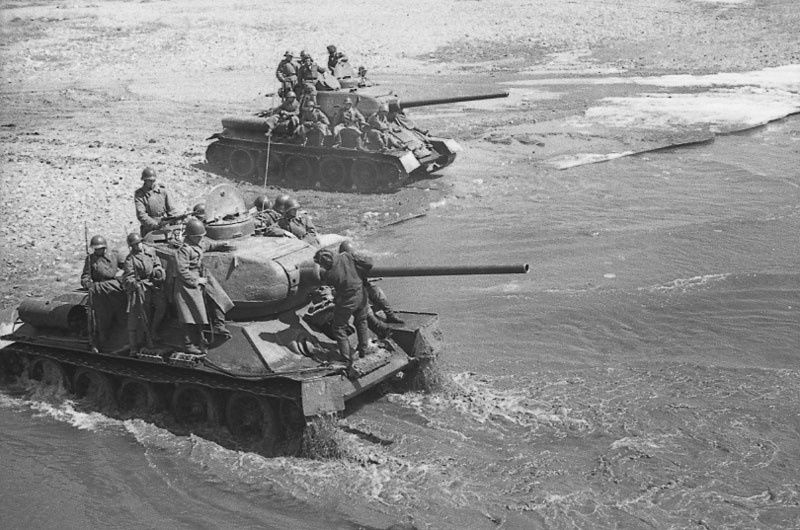 When it was rushed into battle at Kursk in July, 1943 most of the Panthers broke down in their journey from the railhead. The primary problem was gear boxes and running gears over-stressed from the weight. The cooling system was also inadequate and engines failed and sometimes caught fire. General Guderian warned the tanks weren't ready but Hitler ordered them into battle as he had already postponed Operation Citadel, the offensive action at Kursk, to ensure the Panthers would be part of the German thrust. Allied air supremacy was a substantial threat to German armor. It's why Germany's assault through the Ardennes Forest in December, 1944 was timed for inclimate weather that ruled out attacks from the air. The equalizer to German Panther and Tiger tanks came from aircraft such as the P-47 Thunderbolt and the Russian IL-2 Shturmovik. 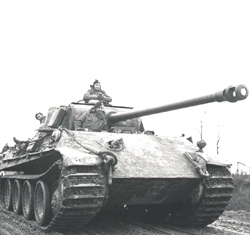 Hitler wanted 600 Panthers produced each month but that wasn't possible. Several thousand were manufactured between 1943 and the end of the war, in part, because the tank was simplified to ease production. At this point Germany needed numbers, not refinement. Germany became desperate for oil, as well. You can produce an extraordinary tank but if the fuel gauge reads empty your weapon on treads is nothing more than a ready-made museum piece. The Germans launched Operation Barbarossa and invaded Russia in June, 1941. It didn't take long for them to encounter the Soviet's new medium tank, the T-34. It quickly proved to be superior to anything the Germans had on the battlefield. 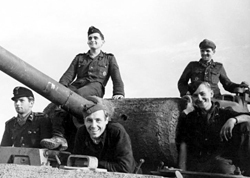 German armor maintained the initiative, though, because of better tactics, training and experience as well as the fact the T-34 was new and few were available. By the time of the armored clash at Kursk the Russians had learned to use the T-34 to its fullest potential. Germany prematurely introduced its newest medium tank at Kursk, the Panther, and many of them broke down because of mechanical problems. 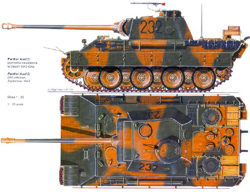 The Panther was Germany's response to the T-34 and Hitler felt it necessary to get it into the field despite being warned it wasn't ready. 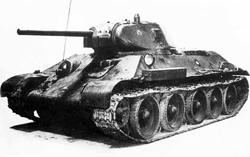 The graphic above shows the T-34 with its rubber-rimmed road wheels. 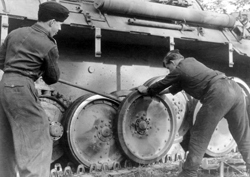 There was a period in 1943 when the tank had all metal wheels because of a shortage in rubber. This created harmonic vibrations damaging to the engine and other parts. As a compromise the first and fifth wheels were rubber rimmed to solve the problem. The above turret is actually the new, larger one but it remains barely room for two. The Germans mocked its rough, no frills manufacturing but its simple design meant it could be produced in great volume, easily maintained and repairable in the field. Its one weakness in an otherwise robust vehicle was its unreliable transmission. The early T-34 had one hatch unlike this later model which has one each for the commander and the loader. This version also has an upgraded 76 mm gun with a longer barrel and higher muzzle velocity. 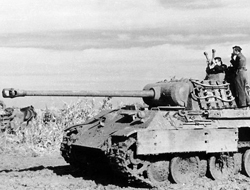 The main German tanks of 1941, the Pz III and the Pz IV, could be knocked out by the T-34 at a thousand meters whereas the German guns of 50 mm and 75 mm hadn't the power to penetrate the T-34's thick armor unless up close. 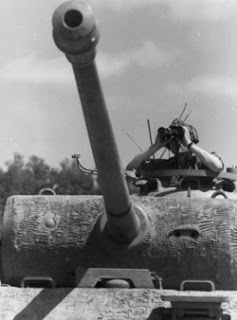 The T-34 received the more powerful 85 mm gun in 1944 to counter the increased armor protection of Germany's new Tiger and Panther tanks. Eleven thousand of these tanks would be produced in 1944 and the T-34/85 would remain the Soviet Union's standard medium tank through the Korean War. 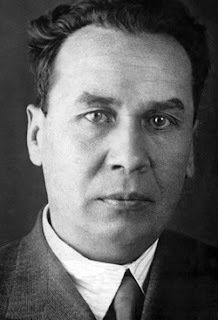 Mikhail Koshkin was the chief designer of the legendary T-34. Prior to the Russian Revolution he had been a candy maker but afterward he received a technical education and proved to be a brilliant engineer. He had to fight powerful political opposition to win the contract over a competing tank design. For the cost of a German Panther you could build two T-34s. In 1943 it cost $25,470 and required 3,000 man hours to complete a T-34. 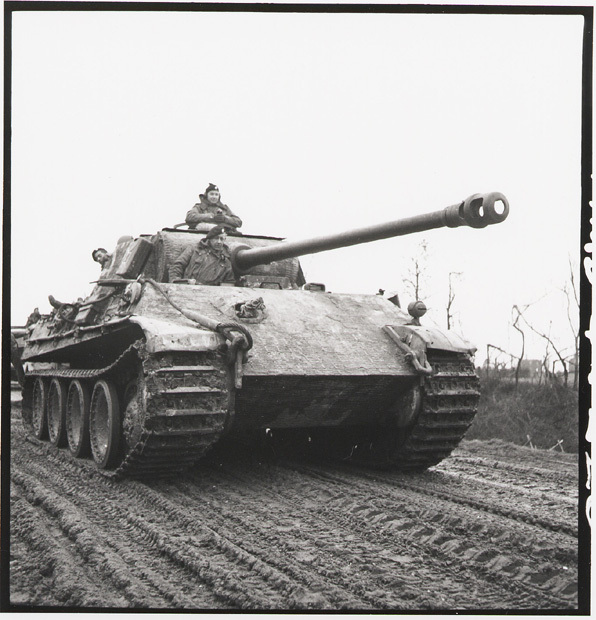 The Panther cost $51,600 and consumed 55,000 man hours. Careful German engineering was not the strategy best suited for the battlefield on the Eastern Front. It's also safe to say armor did not win or lose the war for either side. The differences in armored fighting vehicles were in no way significant enough to compensate for other military and political decisions. I ran across a photograph from 1953 and I’m sending it to you. Technology always dates our images. You’ve undoubtedly dated movies based on the size of the cell phones used. They didn’t always fit well in the pocket. Often you had to extend an antennae to get good reception. Now people not only use their phone as their camera of choice but it has also become some people’s computer and their link to the internet. What would have been science fiction just a few years back is now technology that is taken for granted. I can’t think of many advantages to being as old as I am but one that comes to mind is that of perspective. 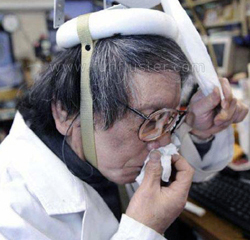 Technology changes us as people and we, in turn, find new and unintended uses for our technology. Take the phone as an example. I’ve already noted how it has become our camera and gateway to the internet. It also has changed how we converse with people. Most conversations these days are brief text messages. We needn’t bother with the formalities of Hellos and Good Byes. We simply jot down quick thoughts and direct them to the appropriate person. In this manner we can have a correspondence with several people in just a couple of minutes. It is so much more efficient. How remarkably fast a new idea can explode on the scene. Facebook will soon be offered as a public stock. You have the opportunity to buy ownership in its company. It began as an idea in some kid’s head a few short years ago and it now has 800 million members worldwide. It’s value as a company is estimated to be twice that of McDonald’s – itself an international corporation – but only half the value of Google, which also has been around for only a few years. When I was a college student years back there was a book published titled Future Shock in which the author, Alvin Toffler, described a world so rapidly changing that it left many people alienated from society with a feeling of being obsolete and irrelevant. Even Toffler couldn’t imagine the world as it is today. Yet, I don’t think he anticipated how adaptive people are to new ideas. One fundamental thing to keep in mind is that the most successful ideas are those that best serve the needs of people. You can argue the merits of Facebook and text messaging on the phone but these technologies have been readily embraced by most everyone. If there is any alienation it comes from old codgers such as myself . Humbug! The German Army following its defeat at Stalingrad was weakened but it remained a threat heading into the summer of 1943. 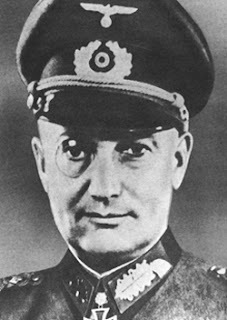 A number of Hitler's military advisers wanted to withdraw their forces to a more defensible position and focus on rebuilding their strategic reserves. Hitler realized the precarious disposition of his army but he saw an opportunity for an offensive action near a town named Kursk that might well remedy a number of his problems. Fighting in recent months had created a protrusion in the German line containing three Soviet armies. 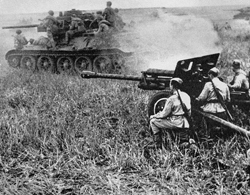 Hitler felt a pincer movement towards Kursk could trap and destroy these troops. A victory here would weaken the Red Army while straightening Germany's line, requiring less manpower for defense. Hitler had political reasons for choosing this military gamble, as well. Germany's allies were unnerved by the defeat at Stalingrad and the destruction of the Sixth Army. The German people were demoralized by heavy casualties and setbacks in both Russia and North Africa. 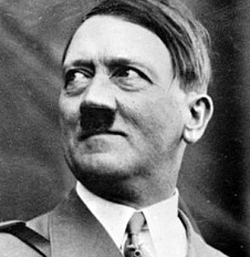 Hitler needed a win and he felt he couldn't afford to play it safe. Time was not on Germany's side. Hitler expected a quick victory over Russia when he launched Operation Barbarossa in June, 1940. Instead, the Eastern Front had become a grinding war of attrition with a Soviet enemy whose economic resources and manpower reserves were vastly superior. Germany needed a crushing victory to buy time, to catch its breath, and to prepare for the mounting threat from both Britain and the United States. 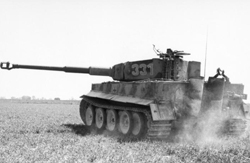 Hitler believed German technology would be the key to victory and he postponed Operation Citadel, the attack on the Kursk Salient, more than once to insure new German tanks, the Tiger and Panther, would be available for the battle. 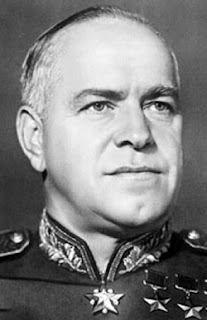 Red Army Commander Marshal Georgy Zhukov was aware of German intentions both because the Kursk Salient was the obvious target of opportunity and Russian partisans behind enemy lines kept him informed as to German activity. 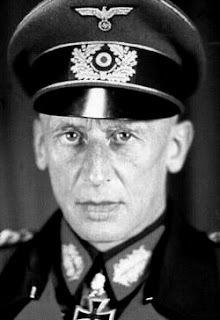 He devised a plan with Stalin's approval that would heavily fortify the salient with trenches, mines, artillery, tanks and over a million armed men. They would absorb the German thrust and wear their attacks down with sheer numbers. 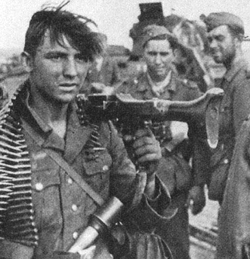 Once the German armored blow was exhausted fresh Russian troops held in reserve would counterattack and sweep the Nazi war machine from the field of battle. Kursk is 500 miles, 800 kilometers, from Moscow. The salient occupied by the Soviet army was 120 miles wide and extended 75 miles into the German held area. Operation Citadel called for General Model to strike south towards Kursk with his Ninth Army which consisted of 6 armored divisions and 14 infantry divisions. Simultaneously, General Hoth's Fourth Panzer Army would thrust north with his 11 armored and 10 infantry divisions. 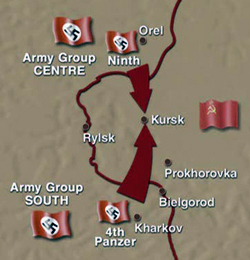 The two armies would meet at the center, Kursk, then move east to establish a new line of defense along the River Don. Germany had massed 900,000 men, 2,700 tanks and 1,800 aircraft for the effort. It represented seventy percent of all the tanks on the Eastern Front and a majority of the aircraft. The German armored assault began in the early morning hours of July 5. 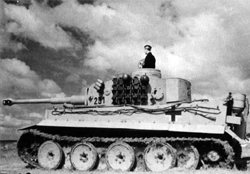 Leading the attacking spear were the new Tiger 1 heavy tanks. Protecting the flanks were new Panther medium tanks and the veteran Mark IV tanks. These were followed by motorized infantry. They were met with heavy artillery barrages and highly coordinated teams of antitank weapons. Model's southern thrust soon stalled while Hoth's Ninth Panzer made some headway, penetrating the first of three Soviet lines of defense. 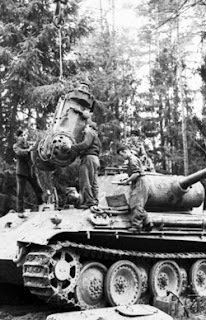 Harsh battlefield conditions caused many Panthers and the new German assault gun, the Elefant, to break down with mechanical problems. 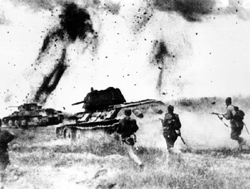 The carnage that resulted from this clash of two military titans climaxed on July 12 near a village called Prokhorovka. It was here on a battlefield choked in clouds of dust and smoke that 600 panzers dueled 800 Soviet tanks for eight hours. The engagement was fought to a draw but it was a strategic disaster for Germany. While its armored might was spent the Soviets had great reserves of tanks and men ready to throw into the battle. The German military had no choice but to withdraw or face total annihilation. The following day Hitler cancelled Citadel. He had new worries in the west. 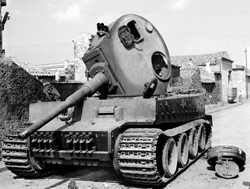 On July 10 British and American forces invaded Sicily, bringing the war to Italy's shores. Hitler had no choice but to extract German forces from Russia to aid his teetering Axis ally. From this point on it would be a long retreat for the German military as Russian armies pursued them relentlessly all the way to Berlin, the lair of the Nazi beast.